It was the most unexpected spectacle. An otherwise lethargic League Cup Final sprung unexpectedly into life when Chelsea goalkeeper Kepa Arrizabalaga refused to leave the field while being substituted at the end of extra-time. Nobody watching could recall from their years of watching the game, a player refuse outright to go off when substituted. Kepa's refusal to leave the field will go down in football history. 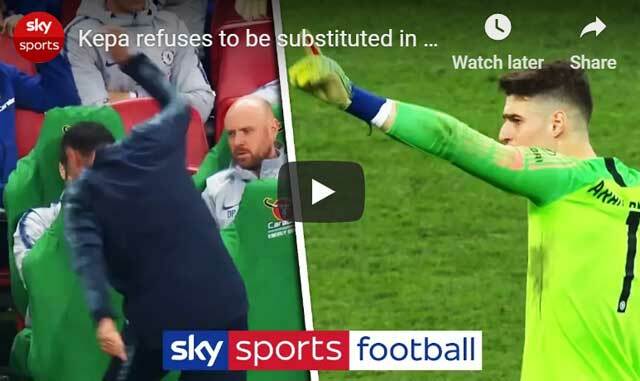 As penalty specialist Willy Caballero waited patiently on the touchline to replace the Spaniard and take on his former Manchester City teammates from 12 yards, Kepa gestured angrily towards the bench, shouting "No!" repeatedly at his manager Maurizio Sarri and assistant Gianfranco Zola. As Kepa kept his ground and refused point-blank to budge, an exasperated Sarri almost walked out of Wembley, sensationally. Kepa then saved one City spot-kick but teammates Jorginho and David Luiz missed theirs, handing the Cup to Pep Guardiola's side, an almost forgotten footnote in the aftermath. So in failing to make way for Caballero, Kepa had made a rod for his own back should Chelsea have gone on to lose the shootout. In disobeying orders, he only piled more pressure onto his already beleaguered manager, whose authority was already in ubiquitous question. Only recently Sarri had lamented his players were proving difficult to motivate and today they failed him by not rushing to urge Kepa to leave the field and back their boss in the process. Luiz was the only colleague who spoke to his goalkeeper during his two minutes of madness; skipper Cesar Azpilicueta was nowhere to be seen. Any manager will tell you that the loneliest and lowest feeling is when they feel they have lost the dressing room. The referee spoke to both parties but could do little as the rules dictate a player can refuse to come off. Post match Kepa and Sarri insisted it was all a misunderstanding of a couple of incidents of cramp in the lead-up to the substitution, but caught on camera with millions watching, the footballer's defiance of his manager, whatever was the motive behind the change, was plain to see. It cannot be right when hierarchical control disintegrates unless that rule is particularly unfair and counterproductive, but Sarri was perfectly within his rights to substitute Kepa. Moreover, English football uses the word manager for what most languages call a coach or trainer for a reason and so when that authority is undermined, a team cannot be directed anymore. Since no organisation can function without a chain of command and universal acceptance of the rules. Kepa's blatant disobeying of his boss must not go unpunished. The 24 year-old's future at Stamford Bridge looks in question all of a sudden, but Sarri will probably walk the plank first. Despite grabbing a sack of trophies in the last decade including the Champions League and Europa League, Chelsea are a ship adrift in early 2019. The Blues seem unable to keep a manager respected for more than a season, have seen an ambitious stadium redevelopment stalled and are set to lose their best player Eden Hazard to Real Madrid in the summer. 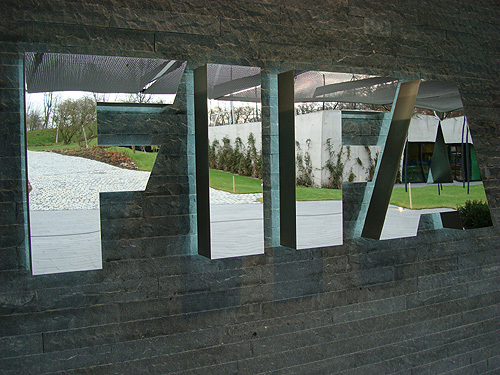 Days before the final, FIFA announced a two-window transfer ban to make matters worse as punishment for signing underage players. Their current manager is stuck in a rut and gloom is enveloping his reign in only its first season but the club has ridden a merry-go-round of coaches in recent seasons. Perhaps worst of all is their current form - four defeats in seven games has unsurprisingly seen the side slip down to sixth spot and in real danger of missing out on the Champions League next season. For a club which a decade ago looked like dominating European club competition for some time, this is suddenly becoming a dark chapter in Chelsea's history. Player power saw Sarri's predecessors Jose Mourinho and Antonio Conte leave their jobs prematurely and it looks like claiming a third victim. If Chelsea are looking for a cure for their latest malaise, they could start by stopping the children from running the school. "I was ready to celebrate, but then this man Banks appeared in my sight like a kind of blue phantom." 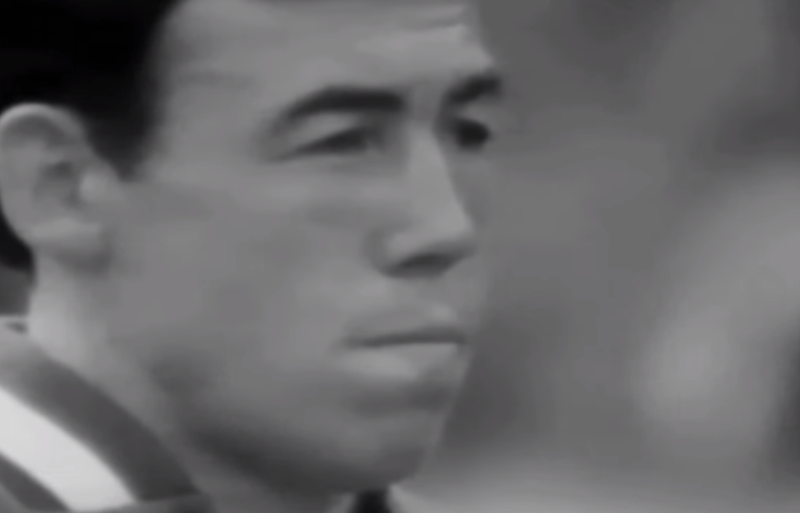 Even Pele was stopped in his tracks by Gordon Banks, the world's best goalkeeper in his day, who has died aged 81. A World Cup winner with England in 1966, he is perhaps best remembered for his wonder save from Pele four years later in Mexico, a stop often dubbed the greatest in football history. Almost half a century later, Banks' diving flip to deny the world's best player is still astonishing in its athleticism, snatching victory from certain defeat, an almost extra-terrestrial action on the football field. His nonchalant trot back head down across his goalmouth to defend the ensuing corner shows the other side of his character - a decent, modest yeoman warrior not given to blowing his own trumpet loudly. In both tournaments Banks was in imperious form and might have won a second Jules Rimet trophy had he not mysteriously gone down with food poisoning on the eve of England's quarter-final against West Germany. The fact he was the only player to fall ill, from a suspected contaminated beer, and he was England's mighty guardian, was very suspicious. "Of all the players to lose, we had to lose him," rued manager Alf Ramsey. 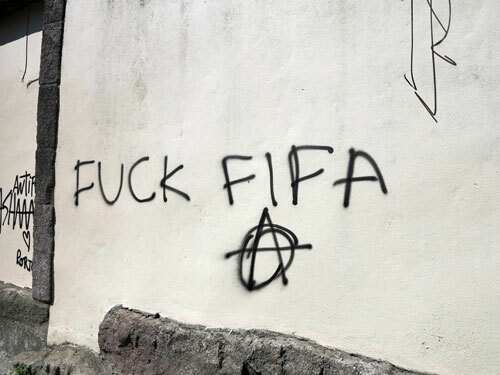 To this day no proof of foul play has come forth but rumours abound that the CIA wanted England out so that Brazil would win the World Cup and in its elation the country would not fall to the communists. Banks was the unlucky hero whose beer was duly poisoned as part of a political game, so the theory goes, but other bizarre events accompanied England in that tournament, which give weight to the conspiracy theorists. The fourth of England's 1966 side to die, following Bobby Moore, Alan Ball and Ray Wilson, Banks was along with Moore and Bobby Charlton, one of the three players in the side who was genuinely world class. The boys of '66 have attained a sacred status in England because the Three Lions have failed to win anything before or since so the loss of another of that heavenly eleven is the shining light of a star going out for good. So the tributes have been pouring in from the likes of fellow custodians like Peter Shilton, who followed Banks path to England and the World Cup via Leicester and Stoke. "I'm devastated," said Shilton. "Today I've lost my hero." "One of my heroes...an inspiration, a winner and a true gentleman," opined Peter Schmeichel. "I am one of the many who built their dreams on your perfect save!" tweeted Gianluigi Buffon. "Definitely England's greatest goalkeeper," said Ray Clemence. Growing up I was taught England made the best goalkeepers and that tradition surely started with Gordon Banks' tenure between the sticks. Goalkeeping demands a range of skills - agility, elasticity, anticipation, presence, strength, communication, handling and distribution for starters. But Banks' letter to journalist Lee Marlow, much shared on the web today, shows the Sheffield-born shot-stopper knew his craft like an old master. "Always know where you are in the goal," he wrote, "narrow the angles down and make it as hard as possible for the striker to score...the more you play your eyes will get better at spotting the angles. You will begin to know where the ball will go..the eyes pick up the direction of the ball, how it floats through the air and send messages to your brain and then to your hands...play games like table tennis. That will sharpen your reflexes...play with a smaller ball...you have to be brave to come out for crosses or dive at the feet of a centre-forward...and be brave too if you lose or make a mistake." Shilton noted that Banks put in extra training to hone his art when it was standard practice to go home at lunchtime. Banks played a total of 558 league matches - 23 for Chesterfield, 293 for Leicester, 194 for Stoke as well as 73 for England. In 1972 he had a head-on collision in his Ford Consul with an Austin A60 van and lost the sight in his right eye. He never played again in England but five years later turned out for the Fort Lauderdale Strikers in the USA and was voted goalkeeper of the NASL season to boot. If Lev Yashin was the world's best custodian in '66 and Dino Zoff was in 1974, for that period in between until 1972 it was the mild-mannered Yorkshireman who never played for a big club who was the best in the world at his job. When he went back to football having lost an eye he became truly heroic. What everyone agrees on beyond his goalkeeping prowess was how pleasant a man Banks was off-field, an immediately likeable and trustworthy chap. "A fierce opponent and a good man. Rest in peace Gordon Banks", tweeted the German Football Association today. "He was a kind and warm man who gave so much to people," the Brazilian legend wrote on his Facebook page today. "So I am glad he saved my header - because the act was the start of a friendship between us that I will always treasure...Yes you were a goalkeeper with magic. But you were also so much more. You were a fine human being." 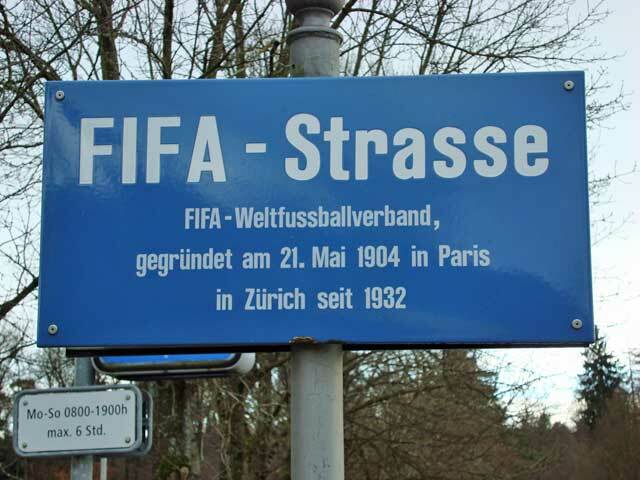 Fifa's World Rankings for February 2019 were published on February 7 at FIFA HQ in Zurich, Switzerland. In the first rankings for 2019 there is no change in the top 20 positions. Belgium who finished third at the World Cup 2018 in Russia are followed by champions France who defeated them in the semis, Brazil, runners-up Croatia, beaten semi-finalists England and Portugal. The full top ten is Belgium, France, Brazil, Croatia, England, Portugal, Uruguay, Switzerland, Spain and Denmark. Senegal start the year as the top African team in 24 place. England remain in 5th. Wales are 19th. Australia are in 42nd place; Japan are in 27th spot. 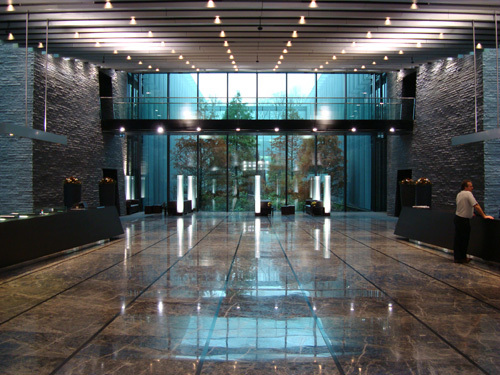 Near neighbors South Korea are 38th in the list. The USA are in 25th. Scotland are 40th. The Republic of Ireland occupy 34th place, Northern Ireland are 36th.